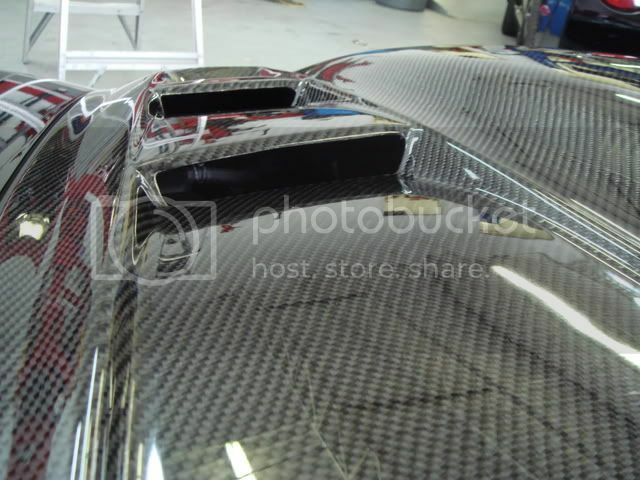 MTI Racing is offering a new hood for the C6 corvette. The fit and finish are excellent and we have them in stock and ready to go. 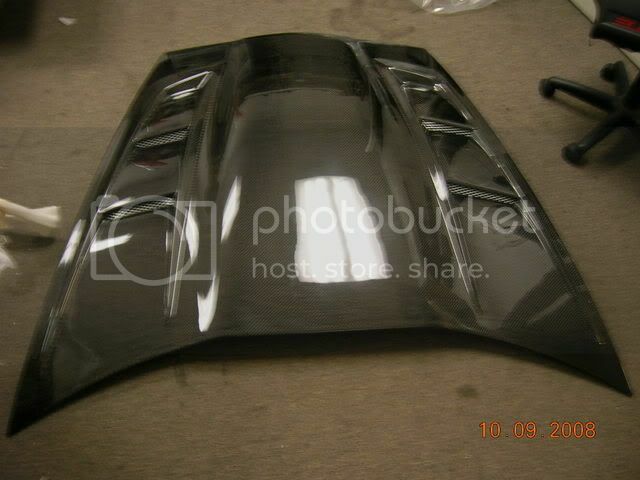 That's a nice looking hood! 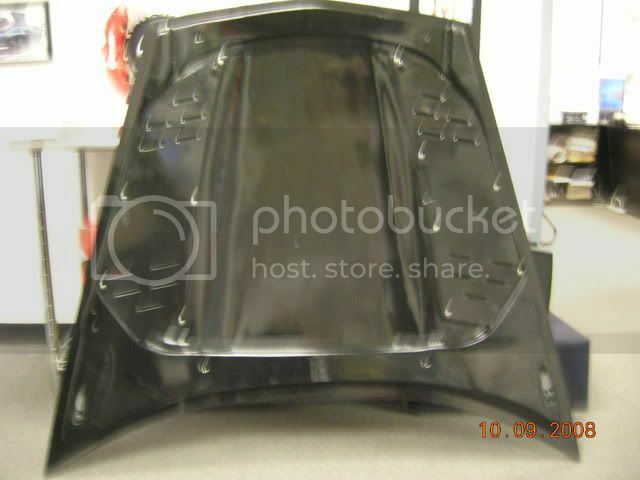 How much does CF weigh and how much lighter is it than the stock hood? LS15 Power! LS2 + LS6 + LS7 = LS15. Wow, that's outstanding, and unique. Will you be at Petit LeMans next month? Anxious to see it. We're not sure if we will be there or not. We are still looking into having a booth. 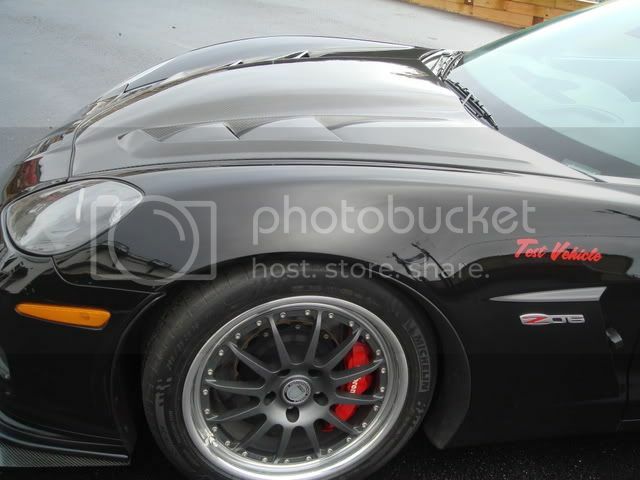 Recent: 2003 Z06 BLK/BLK/BLK - GHL Exhaust | Zip-Tie Intake | NGK TR 55s | Nitto 555 RIIs. My BPP Shifter Broke In Two!! 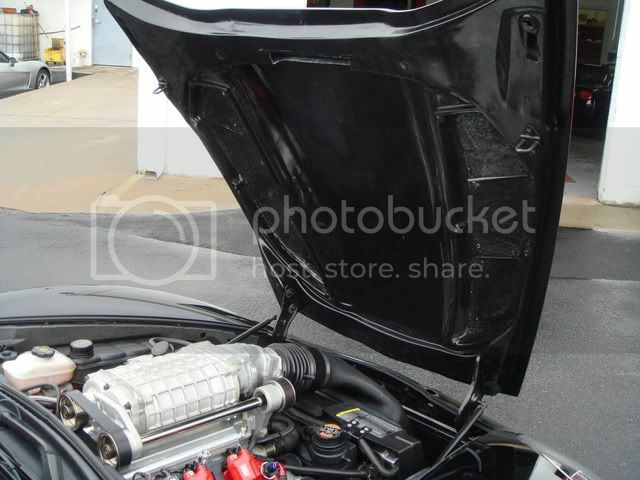 Just weighed the hoods to get a comparison vs the stock hood. Thanks for taking the time to weigh them. Not much of a weight savings but definetely much nicer looking than stock with the ability to extract heat! 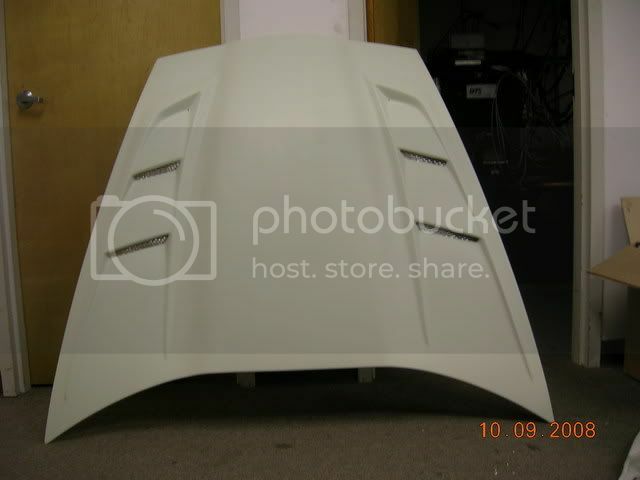 Here are a few photos of the production version of our hood. 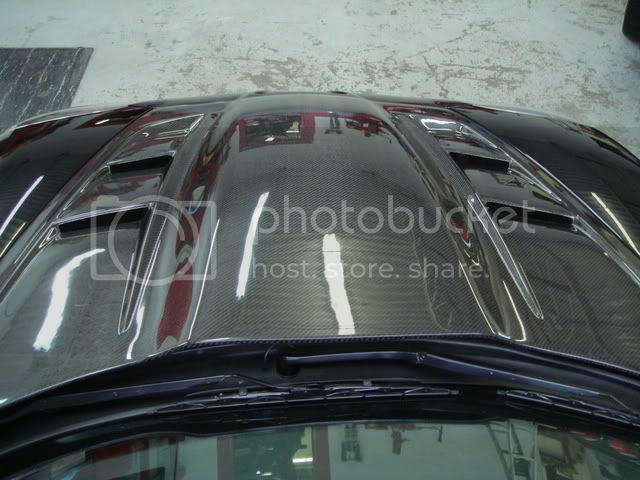 Notice the mesh protecting the louver openings as well as the rain gutters on the bottom of the carbon fiber hood. I like it because it is different from the existing ones. Are they planning on making a C5 version? Like it. Should be ordering one next week. We will have a booth at Petit Le Mans and we will have room for one car. 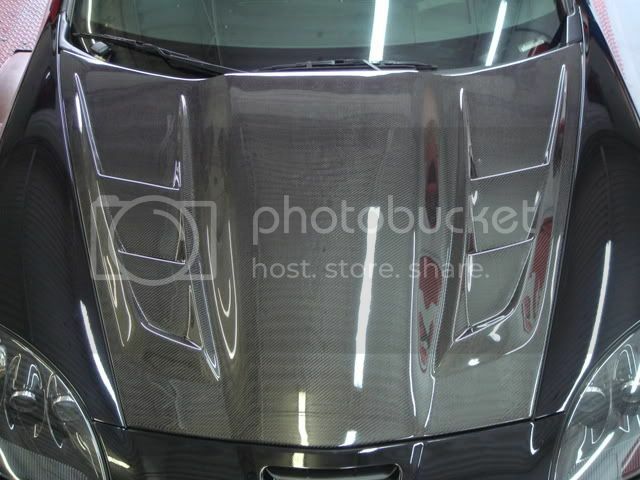 You will be able to see the hood there.